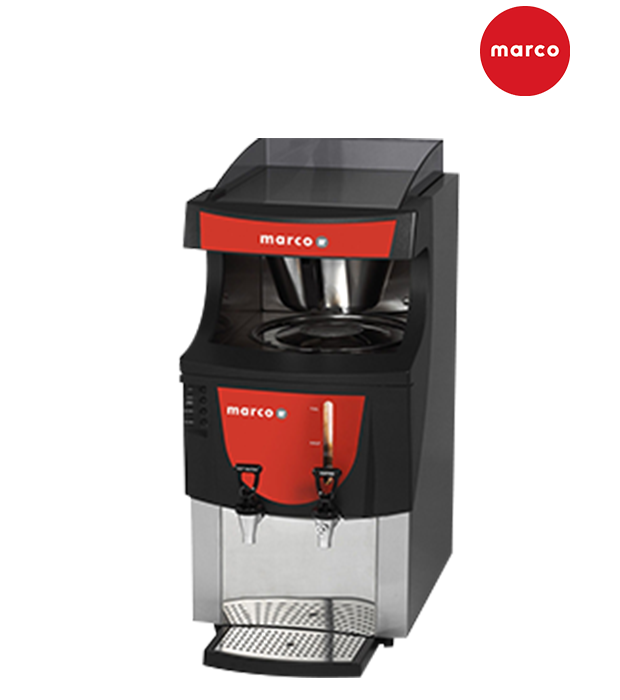 The Marco Qwikbrew Bulk brewer is perfect for high volume sites easily to use, clean and has the added feature of producing large amounts of water for tea. This machine requires a 15mm cold water feed with isolated stop valve ¾ inch- BSP screw fittings used (standard for washing machine). 1-4 BAR pressure is needed to run the machine. This machine requires 2.8KW power can be increased to 5.6KW. Either plugged, hardwired or command plug and socket. Please confirm when ordering.